The American Heart Association (AHA) estimates some 359,000 Americans will suffer a sudden cardiac arrest during their normal everyday activities, and away from a hospital. Statistics show when this happens, bystanders will perform CPR before emergency medical personnel arrive approximately 40% of the time. The AHA also notes if hands-only CPR can be administered within three minutes of a cardiac arrest taking place, the chances of jump-starting the heart and reducing oxygen deprivation to the brain increases, which significantly improves the victim’s survival chances. It takes EMS more than 7 minutes on average to arrive and apply a first defibrillation. Having CPR-trained volunteers available and willing to help immediately after cardiac arrest can restore heart rhythms before the permanent damage is caused by an extended delay. 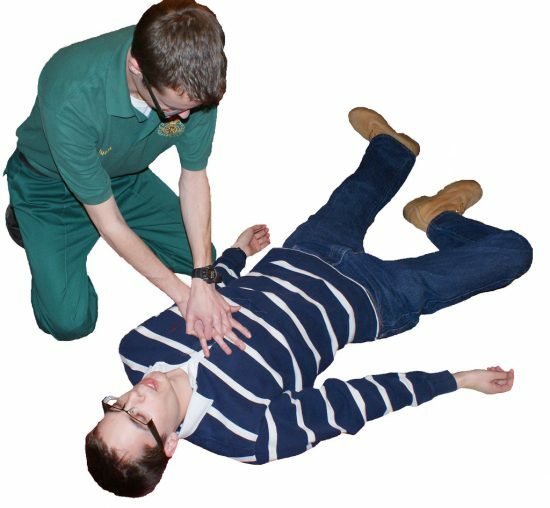 If a bystander is able to immediately administer proper CPR when a person has had a sudden cardiac arrest, their survival rate can more than double. What if there was a way to increase the cardiac arrest victims’ chances of receiving that immediate help? That’s the idea researchers in Sweden had when they developed a mobile phone app to contact CPR-trained volunteers who happened to be in the area near cardiac arrest victims. This allowed these people to begin CPR on the victim even before emergency responders arrived. Humbly referred to by its developers as a “mobile-phone positioning system,” the phone app uses a cell phone’s GPS function to locate bystanders who are trained in CPR who happen to be near the victim, then contact them about the emergency. The volunteers have the choice to download the app after receiving CPR training if they want to participate in the program. Dr. Leif Svensson, a cardiologist at the Center for Resuscitation Science at Karolinska Institute in Stockholm, developed the idea 10 years ago during his morning commute. A woman outside the very bus he was riding on suffered a cardiac arrest, but no one noticed including the doctor himself. Upon his arrival to work in the emergency room, he saw this same woman, dead on arrival. He reasoned if there had been some way for him to have known her condition earlier, he could have performed CPR on the spot, increasing the woman’s chance of survival. He expressed his idea to several of his colleagues which resulted in the idea of the phone app which could locate a victim’s “closest lifesaver.” Whenever an emergency would be reported to responders, any CPR-trained volunteers who were within about a third of a mile of the victim would receive a text message and a phone call to alert them to the emergency, including the victim’s location. In tests, the system resulted in an impressive 30% increase in cardiac arrest victims being provided with life-saving assistance while waiting for ambulances to arrive. When in use, someone nearby was able to give the victim CPR before medical responders arrived 62% of the time. When the mobile system was not activated, CPR was only administered 48% of the time before EMS arrived.